Serena Williams has only spent an hour and 59 minutes on center court during the Australian Open’s first two rounds. During the first round against Tatjana Maria, she spent a total of 49 minutes on center court, and during the second round against Eugenie Bouchard, she spent a total of 70 minutes on center court. The seven-time Australian Open champion has only faced three break points and has yet to drop a set, winning 81% of her first serves. While Simona Halep, the current world number 1, is spending her news conferences after the match discussing how difficult it is to recover from two hour long matches, Williams is spending very little time discussing tennis at all which is primarily due to the fact that she hasn’t played a lot of tennis in this tournament, to begin with. Williams commented that during the day, she has chosen to reply to emails in relation to her next collection adding, “I was playing a match this evening which meant I wouldn’t spend a lot of time with my daughter as I won’t be able to see her this evening,” Williams stated, following her second match victory. During the news conference, Williams also stated on the type of boss she is, including involved, hands-on, and opinionated but very open to suggestions. She truly believes that she can do it all and believes motherhood has managed to teach her how to delegate. Yastremska was the highest seed that Williams had to face in the Australian Open so far, and the fact that she is speeding through her matches is far less headline worthy. Instead, she is giving the media what they want, a tennis player that is here to win. However, watching her dominancy during the second round over a player that most believed would be able to beat Williams was a reminder of something completely different: how remarkable Williams has been over her two decade reign, even against others that are as brilliant as Eugenie Bouchard. Five years ago, Eugenie Bouchard was considered the best in tennis. During her 2014 season, Bouchard made the semifinal in both the French Open and Australian Open as well as the Wimbledon final. She managed to land sponsorship deals and magazine covers and was regarded as the next big superstar in tennis. However, due to struggling from injuries, as well as a lack of motivation, she hasn’t been able to see a semi-final in the Slam since. However, she’s not alone either. 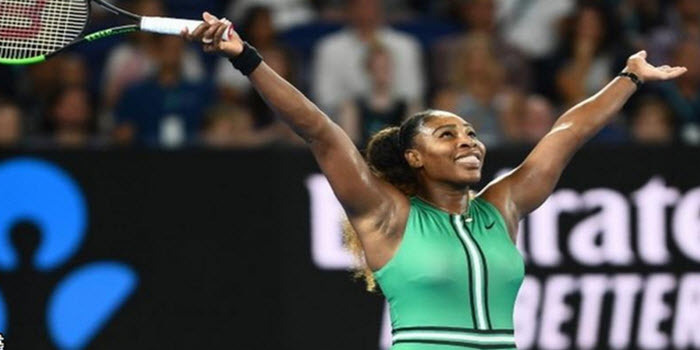 The list of next-big-things, former number 1’s, and Grand Slam champions have all been forgotten while Williams continues to dominate the sport.